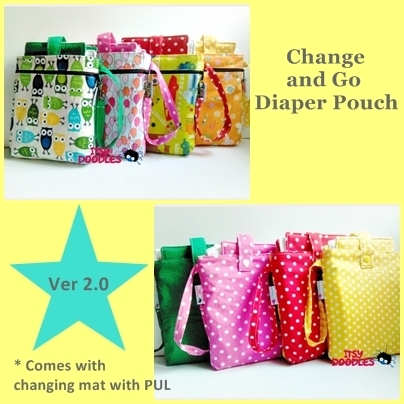 We have come up with a new and improved version of the Change and Go Diaper Pouch. Great to have for short outings. NOW on promotion. Limited sets only. Go to SHOP to see available stocks.